Sims wash the wad of clothing and earn cleaning skills, & fun. This is found under Hobbies/Misc for 250. 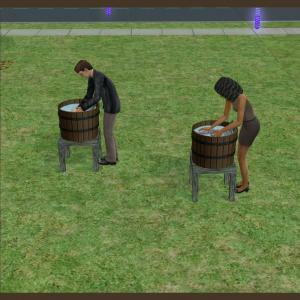 Sims earn $30 for each batch of laundry they complete. Thanks to our Affinity Testing Team for testing this item and for the suggestions they gave me.